1. Engineering Victory: The Union Siege of Vicksburg Justin S. Solonick (SIUP, 2015). From the publisher's description: "After opening with a sophisticated examination of nineteenth-century military engineering and the history of siege craft, Solonick discusses the stages of the Vicksburg siege and the implements and tactics Grant’s soldiers used to achieve victory. As Solonick shows, though Grant lacked sufficient professional engineers to organize a traditional siege—an offensive tactic characterized by cutting the enemy’s communication lines and digging forward-moving approach trenches—the few engineers available, when possible, gave Union troops a crash course in military engineering. Ingenious midwestern soldiers, in turn, creatively applied engineering maxims to the situation at Vicksburg, demonstrating a remarkable ability to adapt in the face of adversity. When instruction and oversight were not possible, the common soldiers improvised. Solonick concludes with a description of the surrender of Vicksburg, an analysis of the siege’s effect on the outcome of the Civil War, and a discussion of its significance in western military history." The study emphasizes the success of Federal offensive siege engineering over starvation as the key factor in forcing Confederate surrender. Where the final volume of Bearss's Vicksburg Campaign trilogy offered a highly detailed on-the-ground account of the various siege approaches, Solonick is going for more high level analysis (at least that's my initial impression). 2. The Madman and the Assassin: The Strange Life of Boston Corbett, the Man Who Killed John Wilkes Booth by Scott Martelle (Chicago Review Pr, 2015). At this point, most Civil War readers probably know at least something about the bizarre personality of John Wilkes Booth killer Boston Corbett but those wanting a full biography of the man now have one in Martelle's study. From the publisher: "The killing of Booth made Corbett an instant celebrity whose peculiarities made him the object of fascination and derision. Corbett was an English immigrant, a hatter by trade, who was likely poisoned by the mercury then used in the manufacturing process. A devout Christian, he castrated himself so that his sexual urges would not distract him from serving God. He was one of the first volunteers to join the US Army in the first days of the Civil War, a path that would in time land him in the notorious Andersonville prison camp, and eventually in the squadron that cornered Booth in a Virginia barn." Jenkins: "TO THE GATES OF ATLANTA: From Kennesaw Mountain to Peach Tree Creek, 1-19 July 1864"
To the Gates of Atlanta by Robert Jenkins is the prequel to the author's unique and valuable study of the first major battle fought south of the Chattahoochee River titled The Battle of Peach Tree Creek: Hood's First Sortie, July 20, 1864 (2014). The new book traces the movements and counter-movements of William T. Sherman's massive Union army group and Joseph E. Johnston's (later John Bell Hood's) opposing Army of Tennessee, it's text encompassing the three week period between the conclusion of the Battle of Kennesaw Mountain and the initial contested Peach Tree Creek crossings. In similar fashion to his earlier book, the author's source material search in To the Gates of Atlanta was exhaustive in scope and the battle narrative skillfully developed. Jenkins first describes Sherman's post-Kennesaw abandonment of frontal attacks and resumption of grand turning movements. He then goes on to recount Johnston's establishment of a new line at Smyrna and the Campground and Ruff's Mill attacks by Sherman that quickly dislodged the Confederate army and forced it back to the Chattahoochee River and its prepared "Shoupade" line of defense. Covered next is Sherman's crossing of the last great natural barrier between his army and Atlanta and Johnston's abandonment of the river line without a fight. The Army of the Cumberland's crossing of Nancy Creek in the face of General Wheeler's Confederate cavalry screen is detailed as are the battles fought over the Moore's Mill and Buckhead Road crossings of Peach Tree Creek on July 19. Perhaps the best of these is Jenkins's treatment (supported by four of the volume's maps) of the little known battle at Moore's Mill, a sharp encounter between the 15th Mississippi, 2 companies of the 6th Mississippi, and Daniel Reynolds's much reduced Arkansas brigade on one side and Jefferson C. Davis's Union XIV Corps division on the other. Initially successful in their dramatic bayonet charge with unloaded rifles against heavy odds, the Confederates were eventually turned away by overwhelming numbers. The military narrative is cut into two event blocks (before and after the Chattahoochee River crossing) and sandwiched between these are profiles of generals Sherman, Thomas, Johnston, and Hood. The author's assessment of Johnston's conduct of the campaign is on the generous side of the historiographical equation. On the subject of the morale of the Confederate army during the Virginian's command tenure, Jenkins's extensive manuscript research uncovered unanimous rank and file approval of Johnston's care for their material needs and confidence in the general's blood sparing management of the army. How the heavy rate of desertion experienced by the Army of Tennessee during the North Georgia campaign can be reconciled with this is largely unaddressed but the author does at least note the potential contradiction. It has been proposed that most of the desertion was concentrated in those units whose members were originally from areas in the direct path of war, with the lure of home defense rendering personal thoughts on Johnston irrelevant. The author appreciates William T. Sherman as practitioner of the operational art but deplores the Ohioan's record of making war on the civilian population, at least when extended to acts like the forcible exile of Roswell's female factory workers. The George Thomas profile is a positive one, and, in making his case, Jenkins does not rely as much as other Thomas defenders have done on tearing down Grant in order to elevate the status of the Virginian. The author's views on Hood are largely in step with current thought. Placed in the unenviable position of fighting someone else's battle (Johnston's Peach Tree Creek plan of action), Hood was placed in a tight spot right from the beginning. In common with many modern students of the campaign, Jenkins feels that Hood formulated a largely sound plan for Atlanta's defense, one derailed as much by the frictions of war, failures of key subordinates, and Union fighting skill as it was by any particular lack of judgment on Hood's part. The most recent developments in Hood historiography are unfortunately not addressed, their omission perhaps simply an issue of timing. In addition to the above leadership assessments, Jenkins also briefly analyzes the famous "Shoupades", discussing both the initial puzzlement of those tasked with manning them and the defense system's ahead-of-its-time nature [according to Jenkins, the Shoupade arrangement would have found a recognizable home in a WWII mobile defense but shocked Confederates used to continuous lines of earthworks]. When it comes to campaign numbers and losses, Jenkins criticizes the use and misuse of numbers in the Atlanta Campaign literature but doesn't offer readers a particularly compelling reason to feel confident in the round figured O.R.-based numbers he himself uses. This is a common failing in the Civil War literature. There are some problems with the presentation of the material. With frequent typos, footnote formatting errors, mistakes with names, and the like, To the Gates of Atlanta shares some of the same editing concerns present in The Battle of Peach Tree Creek. The battle maps are fine for troop positions but they use modern suburban Atlanta as their terrain backdrop, hindering clear understanding of the historical topography. Also, visualizing how the contending armies got to those key points mentioned in the battle narrative can be difficult for the reader to fully comprehend as the book provides no illustration of the historical road network and lacks clear operational scale action maps. 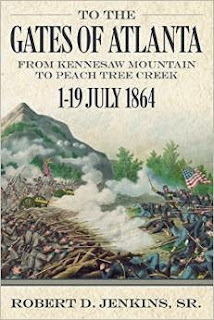 The book's discussions of the Johnston-Davis relationship, the issue of Johnston's popularity among the men in the ranks, and its chapter length military profiles of Sherman, Hood, and Thomas offer few surprises for those already steeped in the campaign literature, but many of the engagements fought during the lead in to the Battle of Peach Tree Creek (especially the one at Moore's Mill) are fully studied in print for the first time in To the Gates of Atlanta and are additionally revealed to be more militarily significant than previously believed. 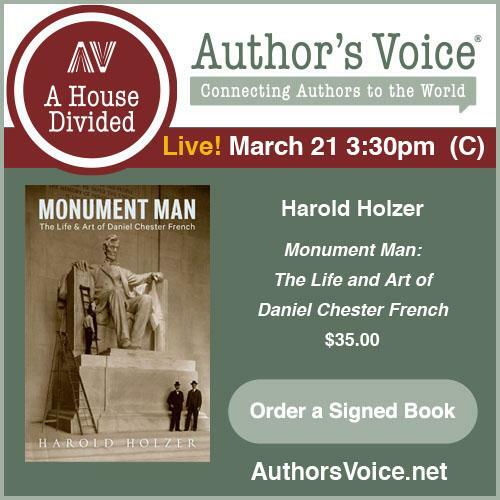 In this reviewer's opinion, this is where the strength of the book primarily lies and the chief factor behind its ultimate recommendation to readers. 1. Civil War Infantry Tactics: Training, Combat, and Small-Unit Effectiveness by Earl J. Hess (LSU Pr, 2015). Many students of the Civil War have been craving a book of this type for a long time. Hess attempts to cover a lot of ground in CWIT, discussing historical context, manuals, and training before moving on to detailed explorations of skirmishing, formations and maneuvers at various unit scales, and more. The volume concludes with a brief survey of post-war tactical developments. Thankfully, Hess's book is heavy on diagrams and case studies. 2. The Great Missouri Raid: Sterling Price and the Last Major Confederate Campaign in Northern Territory by Michael J. Forsyth (McFarland, 2015). Three Price Raid histories are scheduled for release in 2015 and this is the first to make it out the gate. If I recall correctly, Forsyth's previous books examining the two major fronts (Arkansas and Louisiana) of the 1864 Red River Campaign were primarily command level analyses of each operation with added emphasis on the lofty strategic possibilities that ultimately evaded the otherwise successful Confederates. This book appears to be of a similar vein. 3. The Last Confederate Ship at Sea: The Wayward Voyage of the CSS Shenandoah, October 1864-November 1865 by Paul Williams (McFarland, 2015). From the description: "The CSS Shenandoah fired the last shot of the Civil War and was the only Confederate warship to circumnavigate the globe. But what was Captain James Waddell's true relationship with his Yankee prisoner Lillias Nichols and how did it determine the ship's final destination? Without orders, Waddell undertook a dangerous three month voyage through waters infested with enemy cruisers. He risked mutiny by a horrified crew who, having been declared pirates, could be hanged. This is the true story behind the cruise of the Shenandoah--one of secret love and blackmail--brought to light for the first time in 150 years." That's a part of the Shenandoah story of which I am completely unfamiliar. A Slightly Odd View... blog recently republished a fascinating old interview with Joseph Harsh, spotlighting the historian's iconoclastic views. I really need to read his books someday. 1. The Battle of Monroe's Crossroads and the Civil War's Final Campaign by Eric J. Wittenberg (Savas Beatie, 2015). Originally published in hardcover in 2006 and newly released in paperback, this book is an essential part of the 1865 Carolinas Campaign library. To read my review, go here. 2. Lincoln and the Jews: A History by Jonathan D. Sarna and Benjamin Shapell (Thomas Dunne Books, 2015). This is an oversize (almost coffee table dimensions) pictorial and documentary study that "provides readers both with a captivating narrative of [Lincoln's] interactions with Jews, and with the opportunity to immerse themselves in rare manuscripts and images, many from the Shapell Lincoln Collection,..." Sarna and Shapell "reveal how Lincoln's remarkable relationship with American Jews impacted both his path to the presidency and his policy decisions as president." I believe it's now been 9 years (if we don't count the paperback reprint of The Shenandoah Valley Campaign of 1864 released in 2009) since UNC Press published a book from their well known and highly regarded 1990s staple series Military Campaigns of the Civil War. The new volume Cold Harbor to the Crater: The End of the Overland Campaign is scheduled for early Fall 2015. The essay contributors (Keith S. Bohannon, Stephen Cushman, M. Keith Harris, Robert E. L. Krick, Kevin M. Levin, Kathryn Shively Meier, Gordon C. Rhea, and Joan Waugh) "assess the campaign from a variety of perspectives, examining strategy and tactics, the performances of key commanders on each side, the centrality of field fortifications, political repercussions in the United States and the Confederacy, the experiences of civilians caught in the path of the armies, and how the famous battle of the Crater has resonated in historical memory. As a group, the essays highlight the important connections between the home front and the battlefield, showing some of the ways in which military and nonmilitary affairs played off and influenced one another." 1. Civil War Wests: Testing the Limits of the United States edited by Adam Arenson and Andrew R. Graybill (Univ of Calif Pr, 2015). They came in at the tail end of the Sesquicentennial but it's nice to see a couple essay collections [this one and Empire and Liberty ] with significant Far West components. 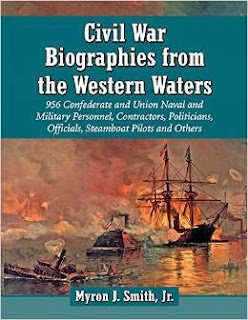 Civil War Wests examines a wide variety of Civil War and Reconstruction subjects with a geographical scope stretching from Missouri to the Pacific Northwest and down through the desert southwest. 2. Spring 1865: The Closing Campaigns of the Civil War by Perry D. Jamieson (Univ of Neb Pr, 2015). I believe it's been a long while since the last Great Campaigns of the Civil War series title appeared. This study integrates all three major theaters into its military and politically oriented retelling of the war's concluding events. Krumenaker: "WALKING THE LINE: Rediscovering and Touring the Civil War Defenses on Modern Atlanta's Landscape With Photographs of All 36 Fort Sites, Plus Walking Trail Maps"
Detailed examination of remnants of Civil War fortifications is frequently the domain of unpublished government-sponsored reports. Much of the published work available is of a recent nature and concentrated in the east, prominent examples being B.F. Cooling's book detailing Washington's fort system and Earl Hess's three-volume history of eastern theater field fortifications. Field works associated with the 1864 North Georgia Campaign have received some scrutiny (ex. the Chattahoochee River Line "Shoupades") but the inner defenses of Atlanta itself remain obscure objects of study, largely due to the thoroughness of urban sprawl. Similar to Richmond, modern development makes touring Atlanta fort sites a challenge, one that Lawrence Krumenaker's Walking the Line sets out to overcome. The defenses under consideration in the guide are the Confederate defensive earthworks completely surrounding the city, with some sections having both inner and outer components [see the red lines on the cover art at left]. Given Atlanta's urban transformation, the historical trenches, ditches, batteries, and forts are very poorly preserved with only 2 out of 36 author-identified forts/batteries awarded his highest state of preservation ranking. Walking the Line is divided into four separate tours, each containing detailed text directions, interpretations, and safety warnings both traffic and crime related. Tour maps show fort locations along with the modern road network and key site references necessary to find them. Some forts are in parks, others inferred from existing embankments and high ground, and many are completely obliterated. The author believes that all of this site locations are accurate to within a block or less. Color photographs of terrain, buildings, and sight lines tied to tour locations are abundant, as are historical sidebars. In final estimation, it's difficult to know what to make of this booklet. There's no bibliography or source notes and it's impossible to determine whether or not Krumenaker is building upon the work of any prior published or unpublished research or is privy to any confirmatory documentary evidence and archaeological reports. In terms of methodology, all we know is that an attempt was made to overlay modern maps with the engineer drawings of Confederate Capt. Lemuel Grant and Union Capt. Orlando Poe (the Poe and Grant maps are reproduced inside the front and rear covers) with the results confirmed by walking the ground. One can readily imagine the limitations of this approach. Trying to reconstruct historical landscapes subjected to thorough urban development is extremely difficult and it's easy for the eye to misinterpret clues. At the very least, it's an interesting project. If I were an Atlanta resident, I would give Walking the Line's series of tours a try. "I am currently re-writing the raid book and hopefully, by the years end, I will have it complete. It will be larger and more detailed as I have come across more information." 1. Confederate Artillery Organizations: An Alphabetical Listing of the Officers and Batteries of the Confederacy, 1861-1865 by F. Ray Sibley, Jr. (2014). Originally published in 1898, "(t)his new updated and easy-to-use reference work sets forth the lineage of the Confederate artillery. It lists, in alphabetical order, individual batteries to artillery regiments, the names and alternate names for the batteries and the names of the men who led them. Also included are the dates of acceptance into Confederate service for each unit. Most companies have an annotation that includes an alternate name (if there was one), and the date if a unit disbanded or was merged into another organization. The annotations for officers include date of appointment, date of promotion to a higher grade (if any), date of transfers (if any), date dropped from rolls (if any), and date relieved of command (if any). Sibley spent ten years on this project, confirming and correcting the original material, adding new findings, and extensively footnoting all of it. Confederate Artillery Organizations also contains four rare and hard-to-find lists of Confederate artillery officers: “Memorandum of Artillery Officers, C. S. A.,” “List of Officers Corps of Artillery, C. S. Army, on U.S. Register of 1861,” “Superintendents of Armories,” and “Military Store-Keeper of Ordnance.” These lists illustrate the ranking of each officer in his respective grade." 2. The Lost Papers of Confederate General John Bell Hood by Stephen M. Hood (2015). Readers of Hood's John Bell Hood: The Rise, Fall, and Resurrection of a Confederate General will recall frequent mention of the author's access to a significant cache of Hood papers never before seen by scholars. This new work is the edited publication of those documents, mostly letters to and from General Hood along with a few reports and affidavits. Brett's TOCWOC review gave the book high marks. 3. Richmond Redeemed: The Siege at Petersburg, The Battles of Chaffin's Bluff and Poplar Spring Church, September 29 - October 2, 1864 by Richard J. Sommers (2014). A pleasant feature of Sesquicentennial publishing has been the reissue of so many works that I never expected to see reprinted at all let alone significantly revised for a new generation of readers. The epic classic Richmond Redeemed by Richard Sommers is one of the best examples of this phenomenon. There's also a uniquely designed enhanced e-book version. 4. The Siege of Petersburg: The Battles for the Weldon Railroad, August 1864 by John Horn (2015). I never read the original edition (The Petersburg Campaign: The Destruction of the Weldon Railroad - Deep Bottom, Globe Tavern, and Reams Station August 14-25, 1864) but I understand it ranks among the respected works in the groundbreaking but notoriously uneven H.E. Howard series. Horn’s revised and updated Sesquicentennial edition of his study of Grant's Fourth Offensive has a new title along with 22 new maps and a host of other improvements. 5. Calamity in Carolina: The Battles of Averasboro and Bentonville, March 1865 by Daniel T. Davis and Phillip S. Greenwalt (2015). Another Emerging Civil War series title, Calamity in Carolina offers a brief overview of the final stages of the 1865 Carolinas Campaign. 8 maps and numerous photographs support the text as well as the pair of driving tours included (one each for Averasboro and Bentonville). Among all the Civil War flag, uniform, kit, and equipment books published over the years, I'm surprised no one has attempted a comprehensive cultural history of Civil War uniforms given all the community, regional, ethnic and institutional variations involved. At least I'm not aware of one with that particular focus. 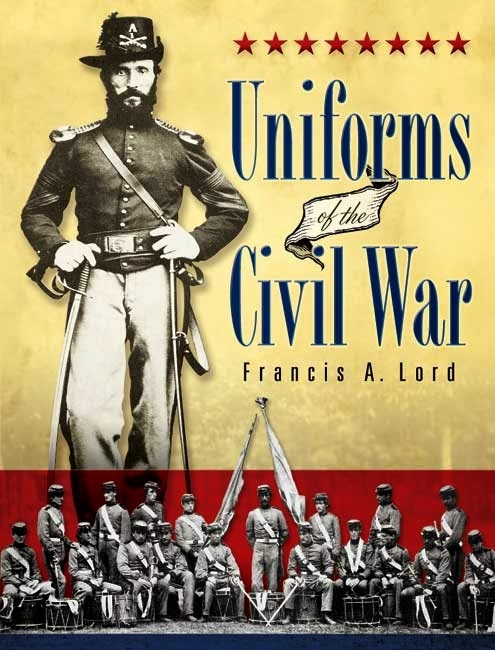 A classic pictorial and text treatment of Confederate and Union uniforms, coats, headgear, footwear, and accessories is Francis A. Lord's Uniforms of the Civil War. The hardcover first edition appeared back in 1970 from Yoseloff and a recent paperback reprint was issued by Dover in 2007. The author consulted a range of period army-navy official records, general orders, and regulations, reproducing in great detail the strict dress codes of those branches of the U.S. military. But Lord also scoured newspapers, advertisements, catalogs, period magazines, unit histories and other publications in order to discuss the many official and unofficial uniform additions and variants employed by regulars and volunteers alike. Many Union and Confederate regulations are reprinted verbatim and at length. Given the essential nature of photography to any worthwhile uniform study, this one employs both full and half page B&W images that are both crisp and plentiful in number. State militia uniforms are also discussed in some depth as are many unique instances of regimental dress. For the Union side, the uniforms of all Zouave and Chasseur regiments are meticulously described as are those associated with specialist services like engineers, surgeons, chaplains, sharpshooters, signal and pioneer corpsmen, Marines, and more. The commentary can be a bit odd in places [ex. Lord (inaccurately) opines that Zouaves performed badly as a rule, largely for the reason that the units were often made up of "unstable" societal elements] but the book's true usefulness lies in the descriptive, not analytical, realm so such distractions are minor. The Confederate sections are quite limited in comparison. 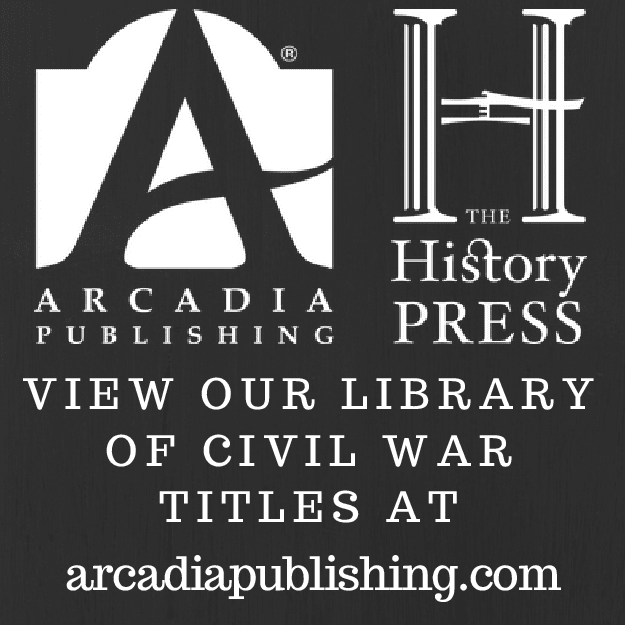 Undoubtedly, the great volume of Civil War source material created and discovered during the four decades between original publication and the release of this edition would have been especially helpful in expanding the depth and range of information dealing with CSA and Confederate state military uniforms and accoutrements. The types of clothing often worn by partisans, bushwhackers, spies, and prisoners of war are also covered. The final chapter offers a brief assessment of procurement issues and uniform allowances. A list of firms that supplied uniforms to Union and Confederate soldiers and some patent information are provided in one appendix, while another considers the Smithsonian's flag and uniform preservation methods. In some senses dated and incomplete, Francis Lord's Uniforms of the War nevertheless retains considerable value as a comprehensive baseline reference tool for scholars, reenactors, modelers, and enthusiasts. 1. The War That Forged a Nation: Why the Civil War Still Matters by James B. McPherson (Oxford UP, 2015). A mixture of light literature survey and author commentary, this set of brief essays explores California's role in the lead up to war, the Civil War's death and material toll, the justness of the Union cause, British diplomacy and neutrality, contrasting profiles of USN admirals Farragut and Du Pont, the Lincoln-McClellan relationship, Lincoln as C-in-C, and more. 2. The Vicksburg Campaign: Strategy, Battles and Key Figures by Kevin Dougherty (McFarland, 2015). The book offers a high level overview of the Vicksburg Campaign and discusses the personalities involved. From the publisher: "The action is traced from Farragut's failed navy-only efforts to bypass the city, through Grant's botched series of canal schemes, to his brilliant series of maneuvers that left Pemberton and his garrison besieged for more than 40 days. Key Union and Confederate players are identified and the strategic circumstances that made Vicksburg the lynchpin of the Western Theater are described. Appendices include information about Vicksburg National Military Park, the Federal and Confederate Orders of Battle and the Medal of Honor at Vicksburg." 1. To the Bitter End: Appomattox, Bennett Place, and the Surrenders of the Confederacy by Robert M. Dunkerly (Savas Beatie, 2015). Unlike many new book series that quickly settle into a modest steady state, the output of Emerging Civil War just keeps accelerating. This entry covers the 1865 surrenders, from the famous capitulations at Appomattox and Bennett Place to less well known but still significant ones at places like Citronelle, Alabama and Jacksonport, Arkansas. 2. Blood on the Bayou: Vicksburg, Port Hudson, and the Trans-Mississippi by Donald S. Frazier (State House Pr, 2015). Blood on the Bayou is the third installment of Frazier's "Louisiana Quadrille", the first two being Fire in the Cane Field (2009) and Thunder Across the Swamp (2011). Military coverage includes Milliken's Bend, Major's Raid, the Battle of LaFourche Crossing, Brashear City and the dramatic Confederate campaign that temporarily recaptured the LaFourche District, the Battle of Fort Butler, Kock's Plantation and more. Frazier also discusses slavery and emancipation in SE Louisiana during this period. It looks great. After all this, there's still plenty left for inclusion in the final volume, which will undoubtedly address the 1863 Texas Overland Campaign and the 1864 Red River Campaign. April just got less crowded. — Civil War Infantry Tactics: Training, Combat, and Small-unit Effectiveness (the wider release could be any day now, but it's available from publisher LSU). — The Great Missouri Raid: Sterling Price and the Last Major Confederate Campaign in Northern Territory (another one that's out now but hasn't made it to all retail outlets). Hyde, ed. : "THE ENIGMATIC SOUTH: Toward Civil War and Its Legacies"
Measurable cracks in the foundations of many widely held views attached to nineteenth century southern history have emerged in recent decades but that hasn't stopped the persistent expression of those views in both popular writing and academic scholarship. 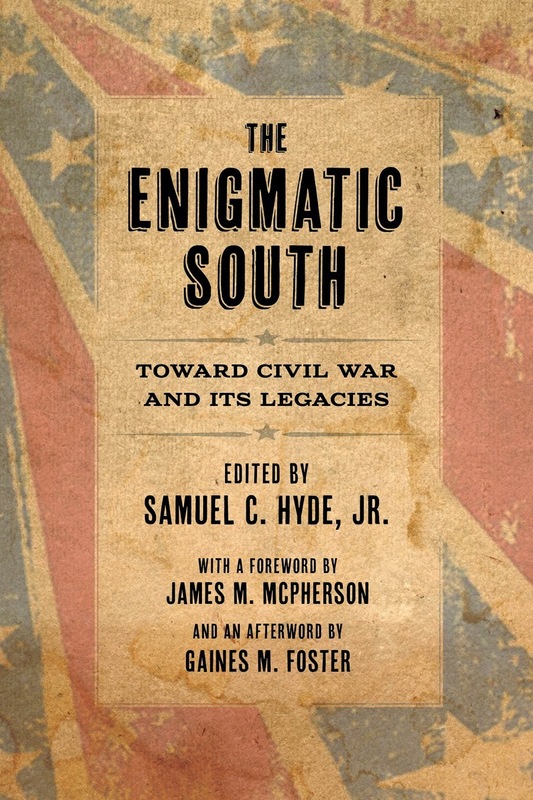 Such stubborn misconceptions are the subject of several chapters in the aptly titled The Enigmatic South: Toward Civil War and Its Legacies, a new collection of original essays edited by historian Samuel Hyde. Christopher Childers's opening essay is a crash course in the southern section's Old Republican pro-slavery politics. He cites the passage of the Missouri Compromise of 1820 as the first serious wakeup call to the institution's most ardent defenders. These politicians came to regret acts of compromise and previous wielding of federal power for their own ends as tacit admissions of a constitutional power to legislate slavery from Washington. With the growing sectional influence of a new interventionist generation of northerners, the ideological descendents of southern Old Republicans fought desperately to reframe the restrictive powers of the federal government, attempting to turn back the clock by rerooting slavery in organic law and reviving popular sovereignty as the means of deciding whether new territories and states would be slave or free. Unfortunately for them, such strategies were bound to fail given the South's fast diminishing demographic representation within the Union and its poisoned relations with northern allies. In discussing education in the Gulf States of Louisiana, Mississippi and Alabama, Sarah Hyde opens with a shot across the bow of her colleagues, whose "opinions of political conditions, social structure, and relative wealth are often influenced more by generalities based on prevailing political trends of popular culture than by fact..." (pg. 24). Far from devaluing formal education and crassly seeking to bolster the prevailing class structure by restricting school access, these states from the beginning financially supported and promoted educational institutions. She also finds that the home schooling that dominated the 1820s and 1830s in those areas where the low population density made it necessary could be far more rigorous than many scholars are willing to concede. Hyde cites the education establishment in New Orleans as a successful public school system model, one that spread to states beyond Louisiana. While direct comparisons with New England's achievements in extending learning to the masses are beyond the article's scope, the documented explosion of public schools in the Gulf States in the decades preceding the Civil War nevertheless offers a powerful counterpoint to the popular view of a Deep South not meaningfully invested in educating its young people. Julia Nguyen's essay examines the preaching of pro-slavery politics, and later secession, from the New Orleans pulpit in response to decades of increasingly activist abolition movements in northern churches that demolished popularly recognized barriers between politics and sermons. While preaching secession had popular support in the city, considerable unease remained and even some strongly pro-secession newspapers decried the intrusion of politics into churches. Nguyen concludes that the object of most sermons was not about leading the South into secession but rather in fulfilling an important need for moral support during a time of great turmoil and uncertainty. George Rable's contribution looks at the Confederacy's aloof relationship with Ohio Democratic politician Clement Vallandigham. While Vallandigham's strident public opposition to the Lincoln administration was appreciated in the South, Rable notes that southerners had concerns of their own. Lacking the means of assessing the true scale of Vallandigham's influence on the northern public, they did not know what to make of him and distrusted his goals given that the Ohioan wanted both peace and reunion. Though many recent local and regional studies have produced convincing evidence to the contrary, the "rich man's war, poor man's fight" interpretation remains strong in both popular history and scholarly literature. Paul Paskoff's rigorously quantitative [attached tables and an extensive appendix helpfully explain his data gathering and methodology] study of military service in Mississippi is an important contribution to this revisionist line of inquiry. According to his research, two-thirds of upper class young men served in the army. Taking into account rates of service among the general population, this figure places the wealthiest cohort near the top. In addition to their very high participation rate, nearly all of the individuals in the sample fought in front line Confederate units, not local defense forces. The result of Paskoff's research into the last five antebellum graduating classes of the University of Mississippi is similarly illuminating. The discovery that 93% of graduates served in uniform bolsters further the writer's claim that military participation among wealthy Mississippi families was at least as great as those of the middle and lower classes. John Sacher's assessment of Jefferson Davis's record on conscription is also contrarian. He points out that the Confederate president's famous clashes with Georgia governor Joseph Brown over States's Rights were the exception rather than the rule and the conscription law was upheld in state courts (there was no Supreme Court of the CSA). According to Sacher, Davis deserves a great deal of credit for mobilizing an astonishingly high percentage of military age males. In response to criticisms of eligibility and exemption rules, the notoriously inflexible Confederate president proved flexible in approving changes to the law that addressed those concerns. Where Sacher finds most fault is in Davis's unwillingness to take his case directly to the people, his rigid belief in never having to explain his executive decisions leading to a missed opportunity for fostering popular home front unity and support for the measure. The last three essays address issues of continuity and discontinuity between the Old and New South periods. Richard Follett's piece is a study of the annual Louisiana sugar reports of Pierre Champomier, a keen observer who promoted best business practices in the state with the aim of modernizing the industry. The question of the continuity of political and social power of the planter elite in the post-war period is examined by Samuel Hyde using the life story of Mississippi's Judge Edward McGehee. An unquestioned antebellum leader of regional agricultural, railroad, industrial, and political interests, McGehee was impoverished by the war but remained a respected community figure. He recovered economically but projected a more modest image, staying out of politics and becoming a devoted philanthropist. Hyde's portrait of McGehee as both Old and New South representative invites readers to reject simplistic categories and generalizations. Eric Walther's essay investigates the role of biography in shaping Confederate memory, specifically John Witherspoon DuBose's admiring treatment of secessionist William Lowndes Yancey that sought to elevate the Fire-Eater's position among the pantheon of Old South heroes while cutting Jefferson Davis down to size. This collection may appear to be lacking an overall theme, but its components largely reflect the wide ranging scholarly interests of historian William J. Cooper, for whom the volume is dedicated. The afterword, written by Gaines Foster, is both a personal appreciation of Cooper and a thoughtful essay on the importance of his body of work. The challenging nature of the book's content offers abundant evidence of why so many scholars are drawn to southern history in particular and the convincing manner in which many popular assumptions are tested within and found wanting makes The Enigmatic South highly recommended reading. 1. Agriculture and the Confederacy: Policy, Productivity, and Power in the Civil War South by R. Douglas Hurt (UNC Pr, 2015). "In this comprehensive history, R. Douglas Hurt traces the decline and fall of agriculture in the Confederate States of America. The backbone of the southern economy, agriculture was a source of power that southerners believed would ensure their independence. But, season by season and year by year, Hurt convincingly shows how the disintegration of southern agriculture led to the decline of the Confederacy's military, economic, and political power. He examines regional variations in the Eastern and Western Confederacy, linking the fates of individual crops and different modes of farming and planting to the wider story." The author also explains how the detrimental effects of the "lost harvest" of 1864 lingered well into the post-war period. 2. Exploring Lincoln: Great Historians Reappraise Our Greatest President edited by Harold Holzer, Craig Symonds, and Frank Williams (Fordham UP, 2015). Part of Fordham's The North's Civil War series, this collection of sixteen (see what they did there?) essays is based on Lincoln Forum presentations from the past three years. Some items deal with Lincoln as legal mind, commander-in-chief, president, and politician while others explore key relationships (ex. with Seward, McClellan, and the city of New York). A number of articles address peripheral subjects like the Old Army, the meaning of the Battle Hymn of the Republic, and the "treason" of Robert E. Lee and Jefferson Davis. Earl Hess's The Battle of Ezra Church and the Struggle for Atlanta should be out in two months but my Paris bureau chief (thanks, Albert) passed along a bit of news from his correspondence with University of Oklahoma Press, who apparently plan to publish Gary Ecelbarger's Ezra Church book (working title "Slaughter at the Chapel") in Fall 2016. At least that spreads them apart a bit. 2 new Camp Pope releases: "Tales of the War" IV and "Military Destruction of Slavery in SE Missouri"
1. CONFEDERATE "TALES OF THE WAR" IN THE TRANS-MISSISSIPPI, Part Four: 1864. From Winter Camp to Pleasant Hill and Jenkins' Ferry. Unwritten Chapters of the Civil War West of the River, vol. VII. Edited by Michael Banasik and Brenda F. Banasik (2015). 6 x 9 paperback, illustrations, maps, notes, appendices, bibliography, index. 288 pp. $17.95. From the description: "Part Four of Confederate "Tales of the War" contains only those [St. Louis Missouri Republican] articles dealing with events of spring 1864, from the Confederate perspective, including the Red River Campaign, the Camden Expedition, and the Battles of Pleasant Hill, Poison Spring, Marks' Mill, and Jenkin's Ferry. Appendices include biographies and detailed Confederate orders of battle." 2. THE MILITARY DESTRUCTION OF SLAVERY IN SOUTHEAST MISSOURI 1861–1864 & THE RISE OF THE USCT by Bob Schmidt (2015). 8 ½ x 11 paperback, illustrations, maps, index. 376 pp. $25. 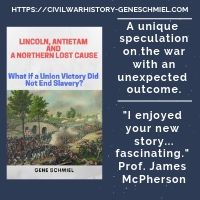 Schmidt is the author of numerous Civil War in SE Missouri studies and his new book stresses the key role of the US Army in emancipating slaves. Also included are unit histories for some USCT formations. 1. To the Gates of Atlanta: From Kennesaw Mountain to Peach Tree Creek, 1-19 July 1864 by Robert D. Jenkins, Sr. (Mercer UP, 2015). "From Smyrna to Ruff’s Mill, Roswell to Vinings, Nancy Creek to Peach Tree Creek, and Moore’s Mill to Howell’s Mill, To the Gates of Atlanta tells the story of each as part of the larger story which led to the fall of The Gate City of the South". If you've read the author's Peachtree Creek book you can expect a similar experience. As with that earlier study, this one delves deeply into aspects of the Atlanta Campaign previously lacking close scrutiny. 2. Four Score and Four: America in 1860 by Gil Hahn (Author, 2014). From the description: "Four Score and Four steps outside the conventional approach to history and looks not just to the monumental, but also the merely significant as well as the mundane. In so doing, it recounts the past in a manner enriched by a wider appreciation of the period. Analyzing political events and military resources alongside social, cultural, economic, and technological circumstances of the time, it presents a panoramic portrait of 1860 America, depicting the dynamic whole of the country and the daily lives of its people." 1. The next volume (#5) in SIUP's Civil War Campaigns in the Heartland series will be The Tennessee Campaign of 1864 but we'll have to wait until December to see it. If laudanum quaffin' or trench assaultin' lesson teachin' is mentioned in any of the essays gaskets will be blown. 2. I finally got a hold of West Virginia historian Terry Lowry and asked him about his long delayed book The Battle of Charleston and the 1862 Kanawha Valley Campaign. It's finishing up now but probably won't be out until summer. Now I can quit bothering the publisher (35th Star) every six months, although it's their own fault after publicizing a Fall '13 release date. 3. I posted earlier about an upcoming paperback edition of John Hennessy's classic FBR tactical account The First Battle of Manassas: An End to Innocence, July 18-21, 1861 . Since then, the cover art and book description have come out, confirming that it is indeed a revised edition. A while back, the author answered someone's retweet of my query regarding the nature of the new book, stating (IIRC) that around 30 pages of new material was being added. 1. Young General and the Fall of Richmond: The Life and Career of Godfrey Weitzel by G. William Quatman (Ohio UP, 2015). The title implies an eastern theater emphasis, but Quatman covers Weitzel's entire military career at length, with his biography quite advanced past the mid-point of its war coverage before Weitzel even joins the Army of the James. I'm concerned about the "keen research into archival sources" claim in the description as there's no evidence of it in the bibliography, which is only 4 pages in length and comprised almost entirely of published materials.